Hello, today's card is a bright and colourful project - I love rainbows! I used the Work of Art Stamp Set (wood-mount and clear-mount) to create this. You might be wondering how I managed to line up the zig zags so well - I used the Stamp-a-ma-jig by Stampin' Up! to do this - no craft kit is complete without it. 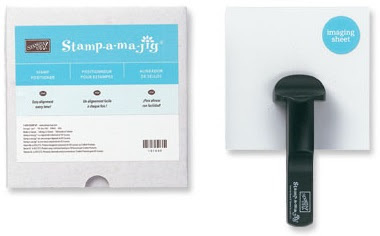 The jig is so easy to use and takes the guesswork out of stamp placement, leaving you with professional looking cards. To view any of these items simply click on their highlighted names.